But what if you didn’t HAVE to open the bottle? Could wine be preserved indefinitely if you could somehow access it while keeping its bottle fortress intact? 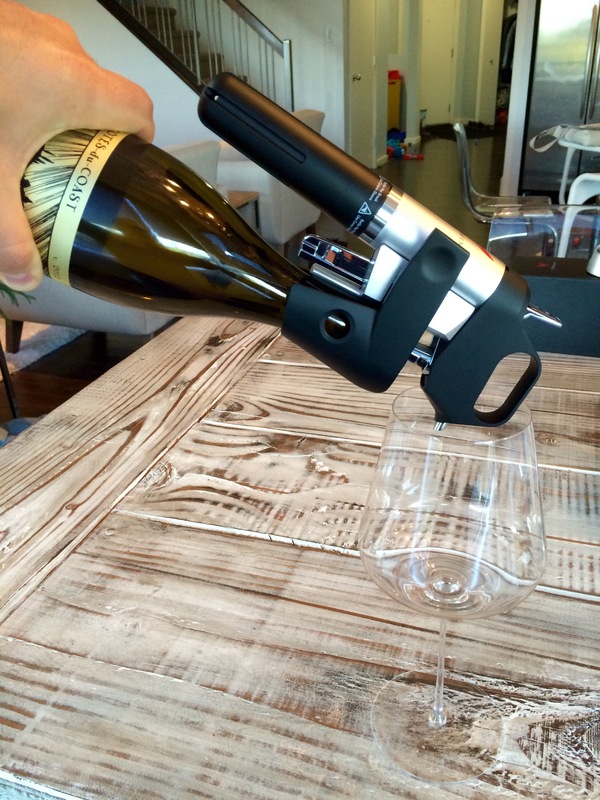 Enter the Coravin. 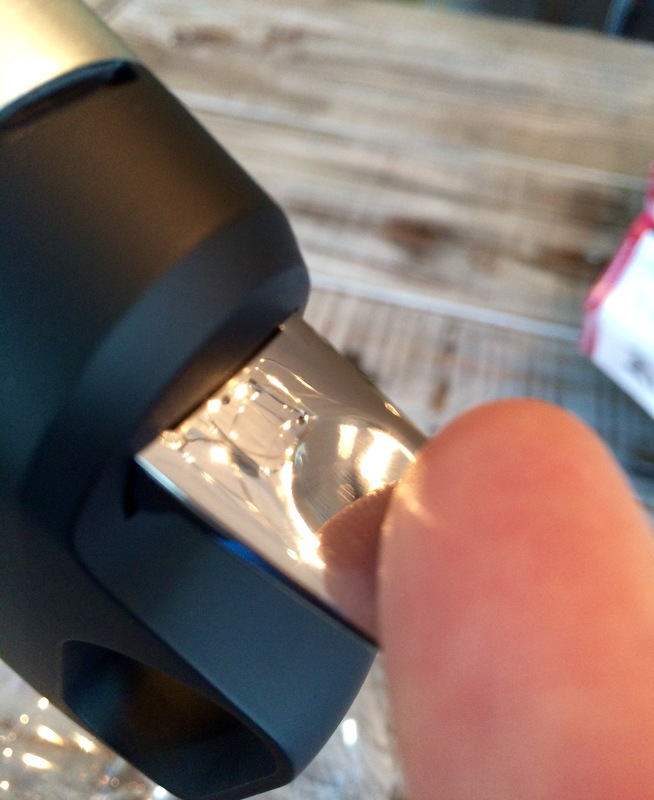 That’s right, somebody has actually invented a way for you to pour yourself a glass of wine while keeping the foil on and the cork firmly plugged in the bottle. They have combined this genius with the preservation wizardry of argon to create a total game-changer, not only in the world of wine preservation, but also in the world of wine service and storage as well. And then their Canadian distributor has let me borrow one. If you need me, I’ll be in my cellar. Here’s how it works. 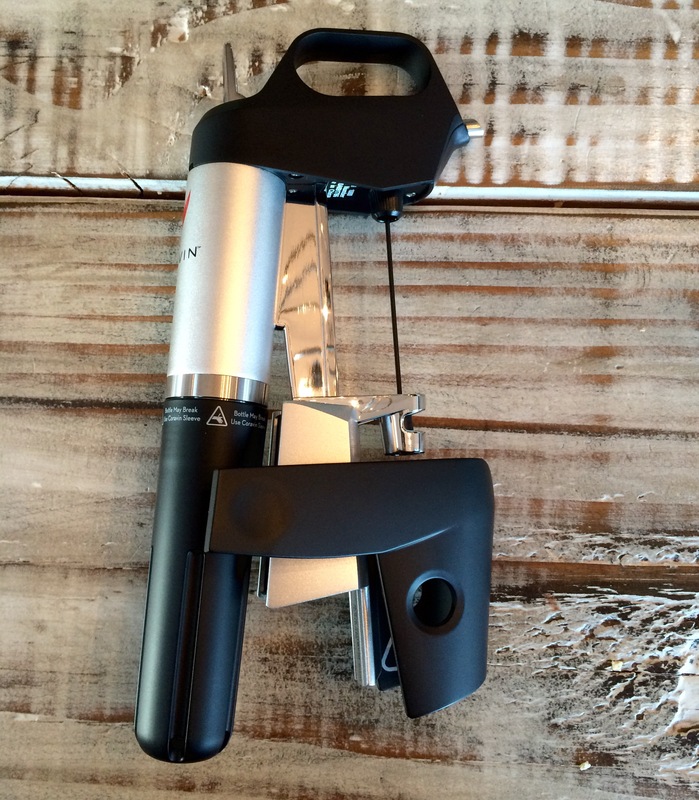 The Coravin sort of looks like one of those rabbit corkscrews that has a squeeze clamp which gets fitted around the bottle’s neck and then a lever used to insert the screw’s worm and extract the cork. 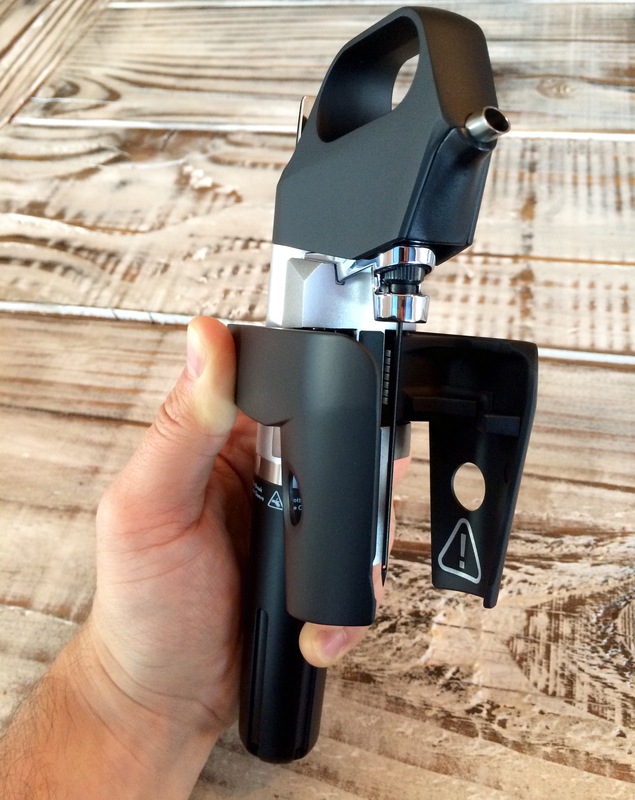 However, instead of a corkscrew, the clamp is paired with a long hollow surgical-grade steel needle with two holes near the tip, as well as an attached argon canister and trigger switch. The needle is used first to pierce through the cork and then to transport the wine from the inside of the bottle to your glass. Before the liquid heads out through the needle, argon is injected into the bottle, so any interior space vacated by wine is pre-filled by oxygen-inhibiting, non-reactive gas, such that no additional air enters the bottle as it’s being emptied. It’s simple but very well thought out, and easier to see than to read about, so check out a graphic step by step below. If you look carefully, you can see the needle inside the bottle! The wine comes out fairly slowly because of the proportioning going on between the amount of wine allowed out for each shot of argon sent in (and because the wine is, you know, BEING TRANSPORTED THROUGH THE INSIDE OF A NEEDLE). But after three or so jabs on the trigger and a few seconds: a glass of wine! From a bottle that’s still corked! The cork, being made of naturally spongy, elastic material, springs back into place and fills the void left by the needle. So very cool. After one get-the-hang-of-it try I was ramming needles through corks like a seasoned pro. 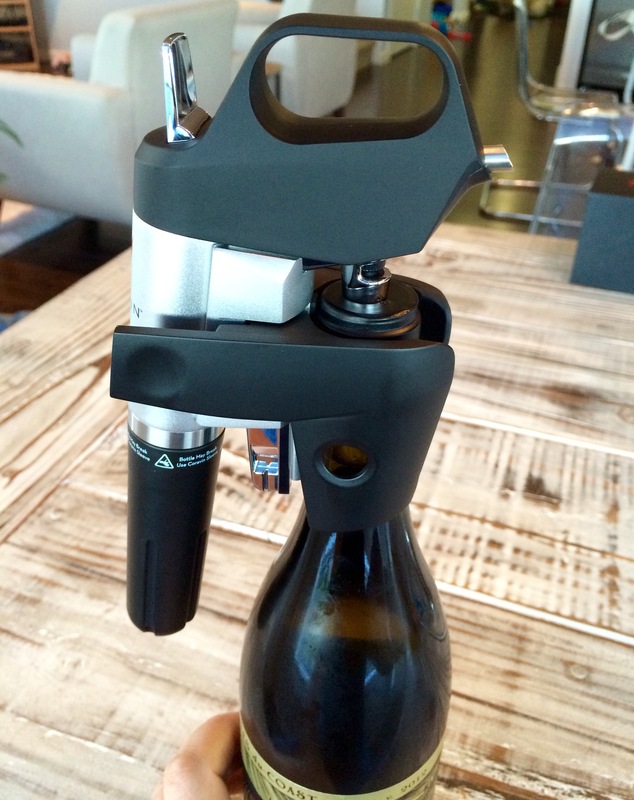 As a lawyer, I probably have to mention that I skipped one part of the Coravin instruction manual in the above demonstration: it suggests that you place the bottle in a supplied neoprene sleeve in order to avoid the risk of the bottle rupturing during the argon injection process. 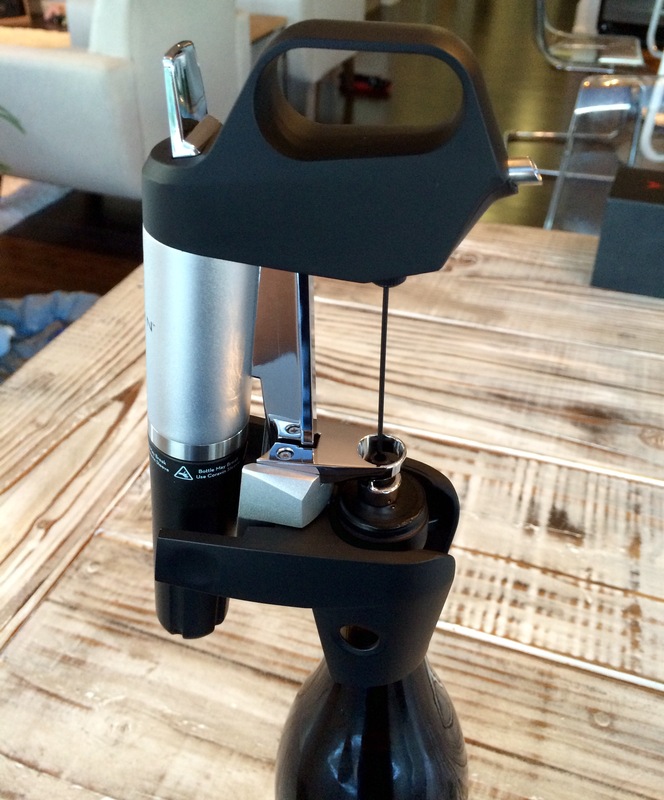 It does this because this very thing happened a couple times after the Coravin’s initial release in the US. 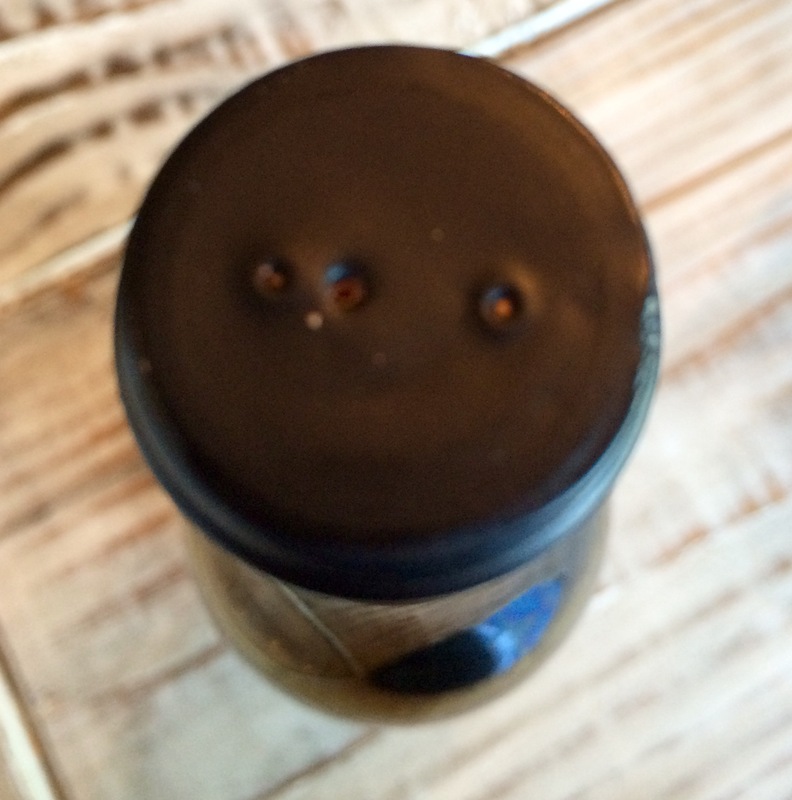 However, common sense strongly suggests that the likely culprit in these cases was previously faulty or compromised glass bottles as opposed to the Coravin process itself. 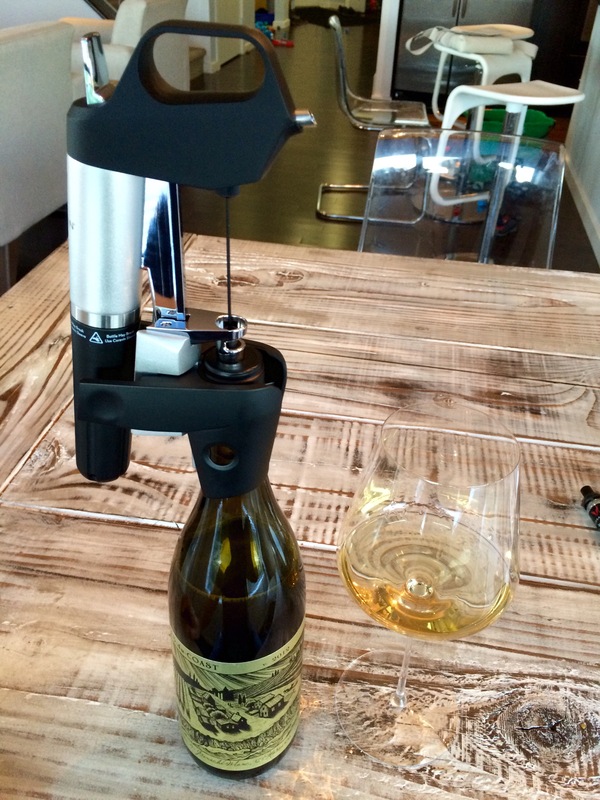 The pre-pour blast of Coravin argon would increase the internal pressure of the bottle very marginally; in contrast, a bottle of Champagne has as much internal pressure as a car tire and manages not to wantonly explode. By all means use the sleeve if you would like, but (although this does not constitute legal advice) I wasn’t losing too much sleep over omitting it. 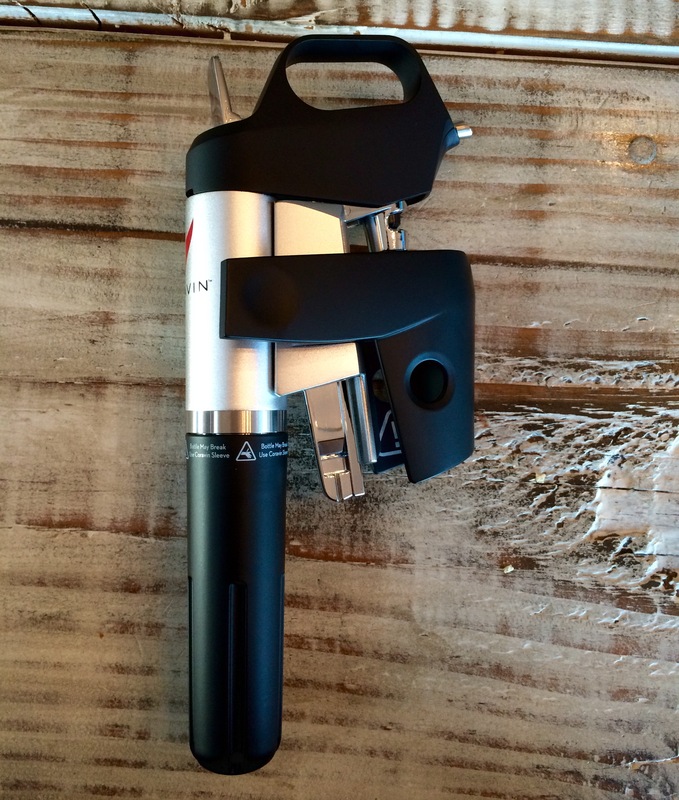 The Coravin doesn’t come cheap (it retails for just shy of $400), but it has the potential to do something nothing else can: completely change the cellar, or the wine list, as we know it. If you can grab any bottle, dole out only the amount you immediately want, and place it back into storage with no ill effects on the rest of its contents? As a consumer, you’re no longer a slave to drinking windows, no longer taking as big a risk when you pop a cork, and can test for yourself if you think a wine’s ready to go without sacrificing a whole bottle to that hypothesis. As a restaurant, you have a ready-made way to either guarantee freshness and pristine quality for every pour on your by-the-glass menu or to abolish the limited by-the-glass list entirely — EVERYTHING can be by the glass. Every restaurant should have one of these. 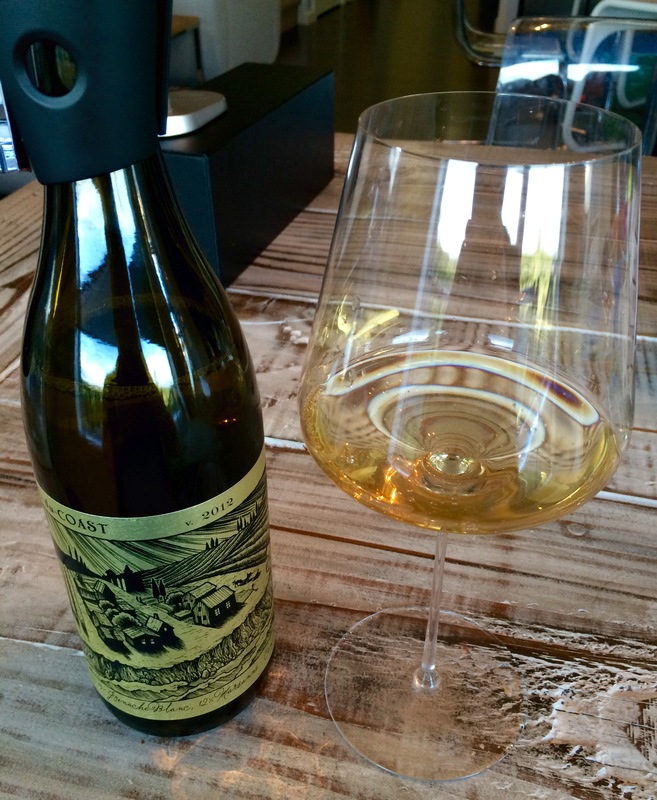 From this point forward, there is no excuse for flat, 3 day old vino in a by-the-glass order. Ever. All this leads to the big question: does it work? 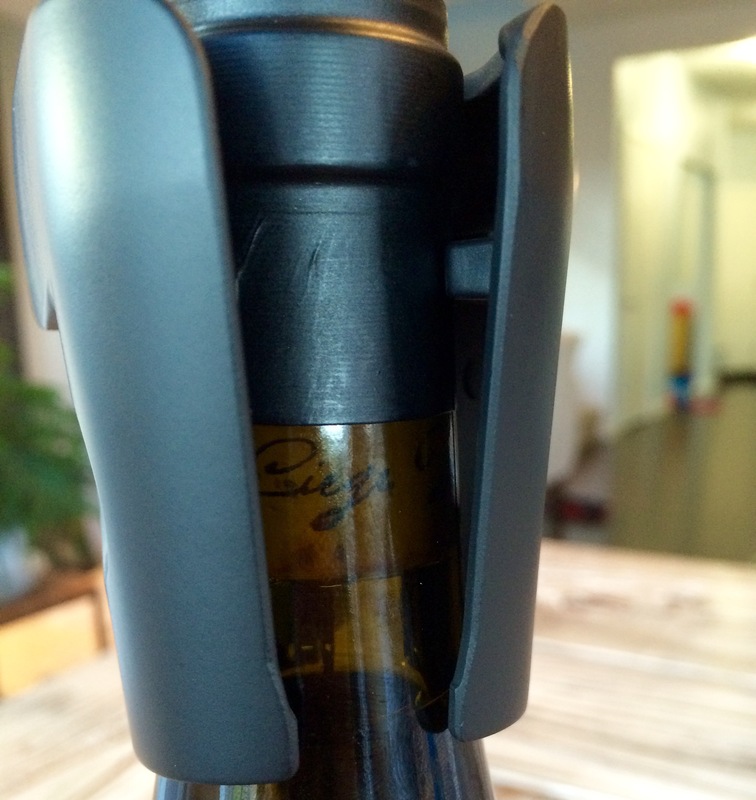 Can you really pour out a bottle in increments over time and not lose any part of the identity of a wine? Well, I’m going to find out. 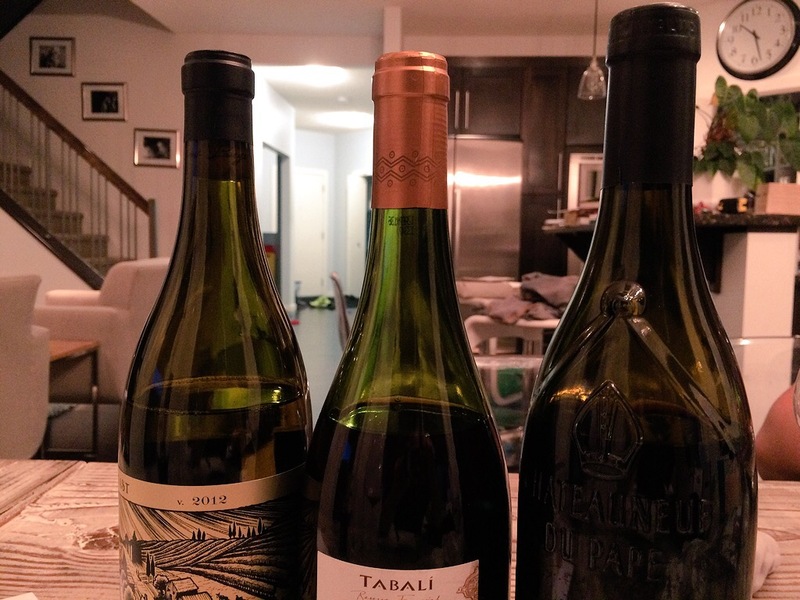 I was provided three wines with the Coravin, which I have tasted already and which I will re-Coravin (if this is not yet a verb, I’m making it one) and taste again in a couple weeks, and then again in a few MONTHS. If it’s still fresh then I’m going to lose my mind. 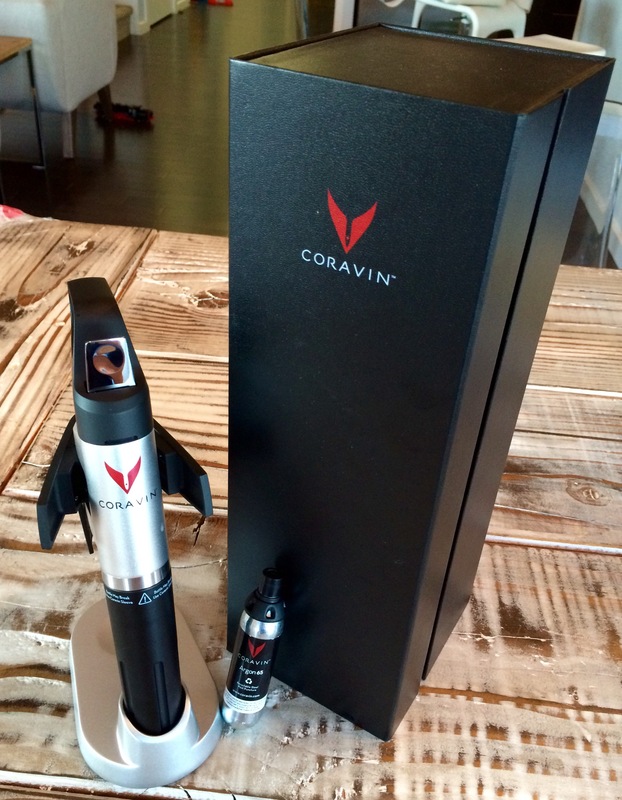 Check back in a few days for my initial tasting report of my trio of Coravin test subjects — science! !